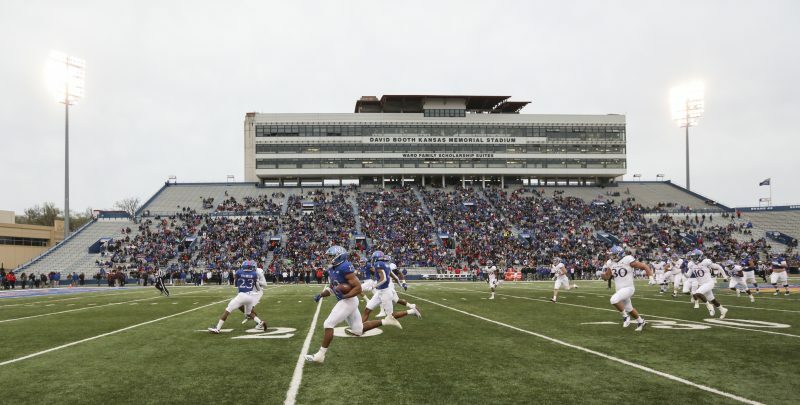 Team KU wide receiver Kwamie Lassiter II (83) trots into the end zone for a touchdown during the third quarter of the 2017 Spring Game on Saturday, April 15 at Memorial Stadium. 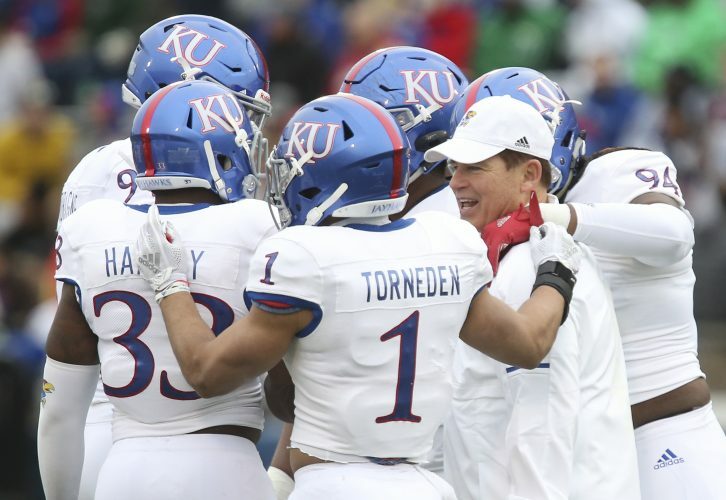 Jon Kirby, who covers Kansas football for Rivals, said hello to Kansas punt returner Kwamie Lassiter II and told him he remembered watching his father play for KU as a defensive back. “He’d hit you,” Kirby said. He has heard it so many times about his father he can’t help but believe it. He even heard it while standing in the checkout line at Hy-Vee. That doesn’t mean the younger Lassiter would have been afraid to play against his dad, an NFL safety for 10 seasons, eight with the Arizona Cardinals. “I’d find a way for him not to hit me, first of all,” Kwamie II said. 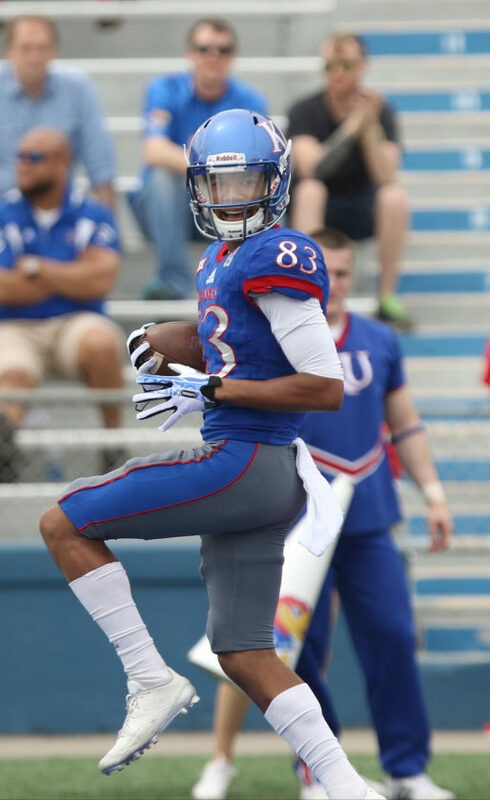 A third-year sophomore, Lassiter did a nice job of that in his first game as a punt returner for the Jayhawks. In the 26-23 overtime loss to Nicholls State, Lassiter returned a pair of punts, one for 5 yards, another for 21. A walk-on from Arizona, Lassiter also plays wide receiver. For now, most of his contributions will come returning punts. 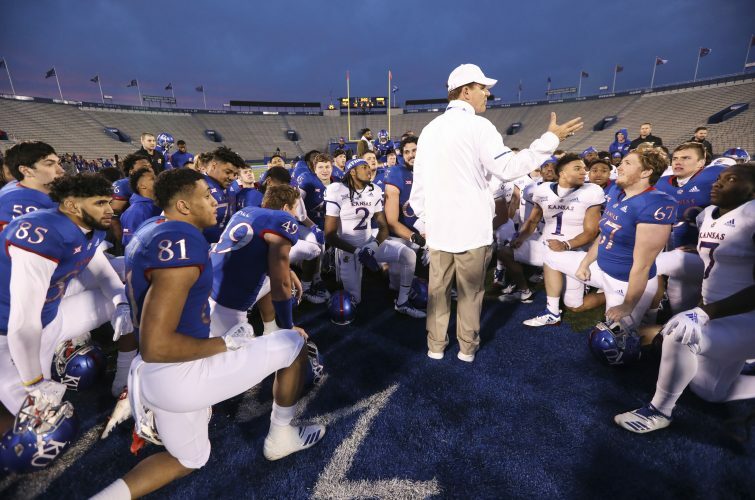 Kansas totaled 81 yards in punt returns for the entire 2017 season and negative-10 yards in 2016. 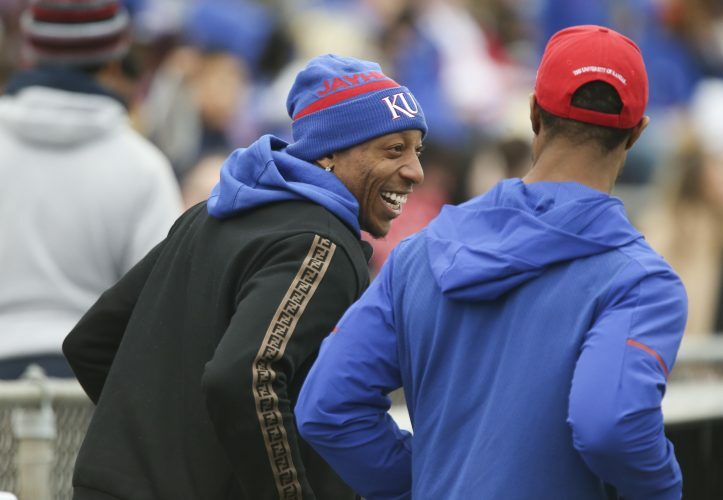 His dad, former teammate of KU defensive coordinator Clint Bowen, was at last week’s game. 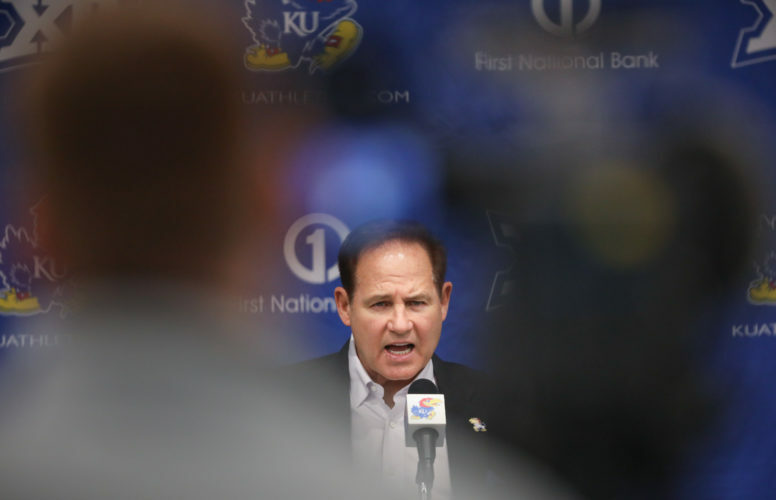 Head coach David Beaty is not making any assistant coaches available for interviews this season, so getting Bowen’s impressions of the original Kwamie Lassiter (1992-94 at KU) was not an option. Kwamie II has five brothers: Eric, KaVon, Darius, Kwinton and Kwincy. Kwinton played last season for Free State High and is a freshman defensive back at Butler Community College. Kwinton plays the same position as his dad, but it’s Kwamie II who has his name.